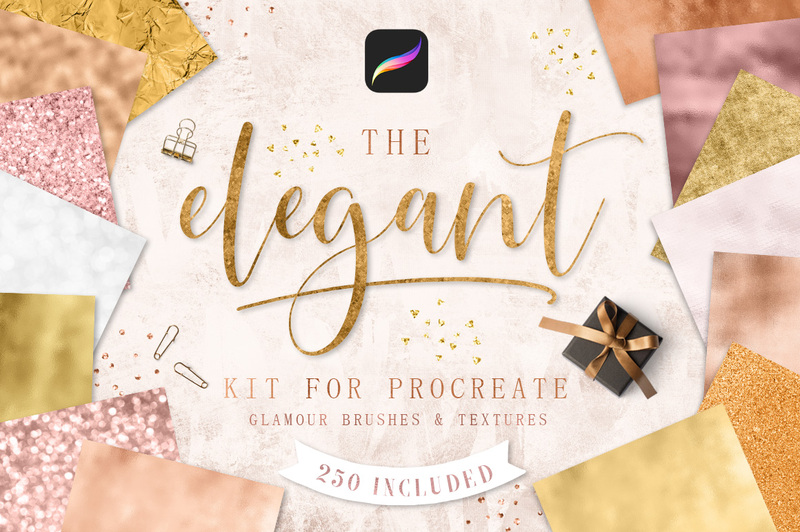 Introducing the Elegant Kit for Procreate, a huge Pack of gorgeous brushes, pattern brushes and luxury textures. 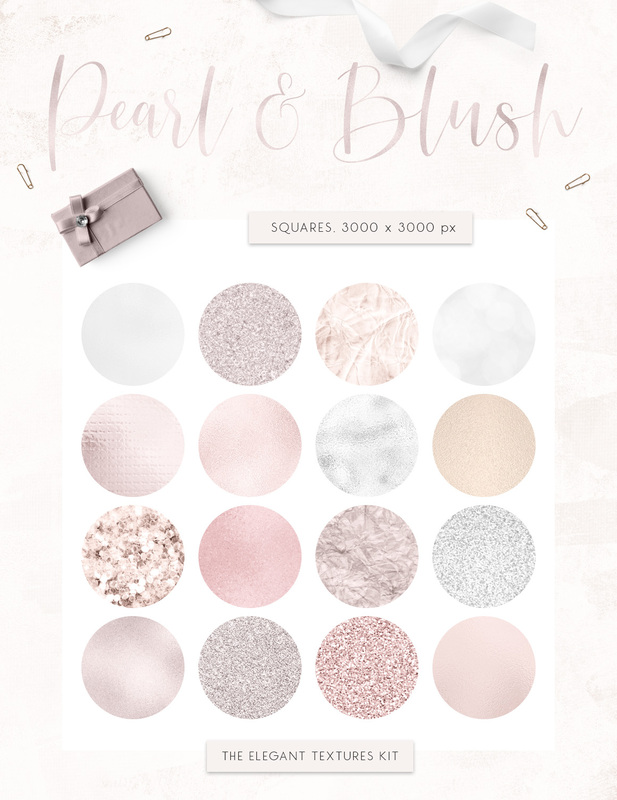 This kit includes every metallic and glitter texture you could need! 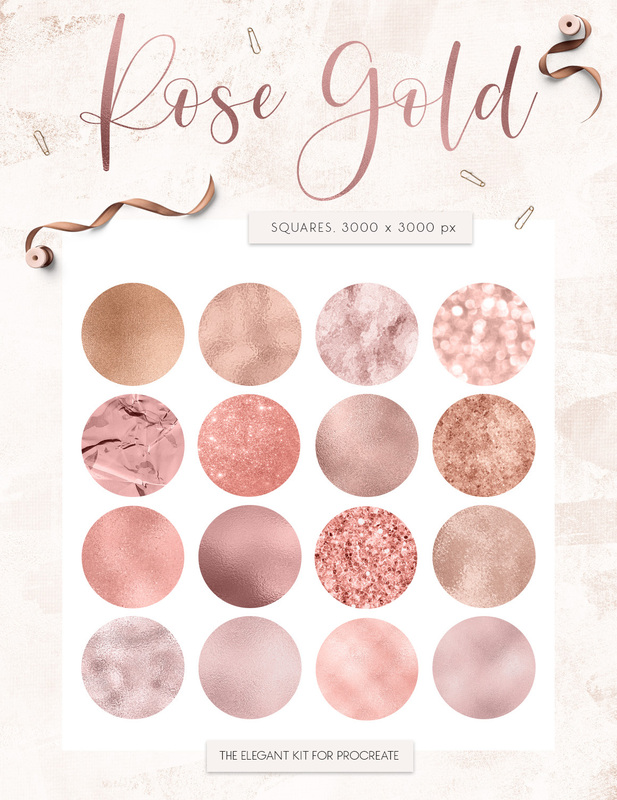 You’ll find classic gold, copper, neutral, white gold, peach, blush, rose gold, bronze and many more! 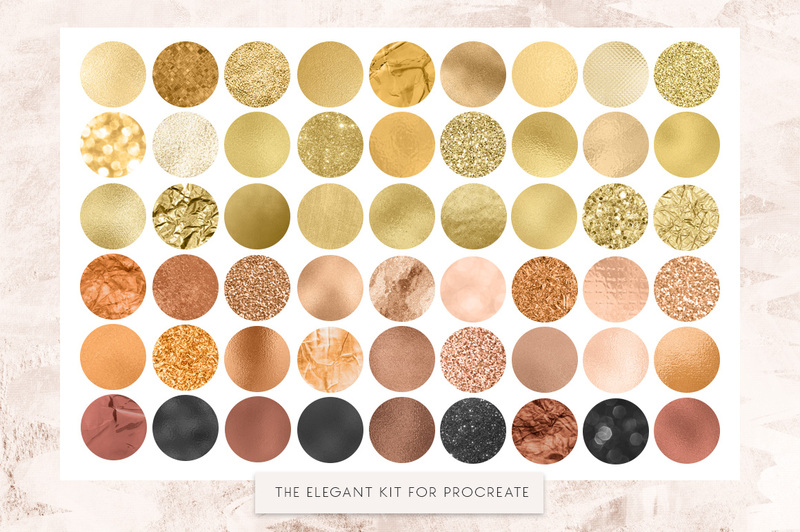 Once purchased, would I be able to download this kit directly to my Dropbox & then export directly to Procreate? Thanks so much for reaching out to us. For security reasons, we do not have the option for you to download your resources directly from your account into your Dropbox, however we are always happy to send you a Dropbox link to your resources to help speed up the download process. I have just popped you over an email with a tutorial on downloading and installing your procreate resources so I hope that this helps :). Also, What is the font used for this presentation – very pretty? We’re so glad that you like it Stephanie! I love the font as well. Looking forward to knowing what it is. Thanks so much for your comment Susan. 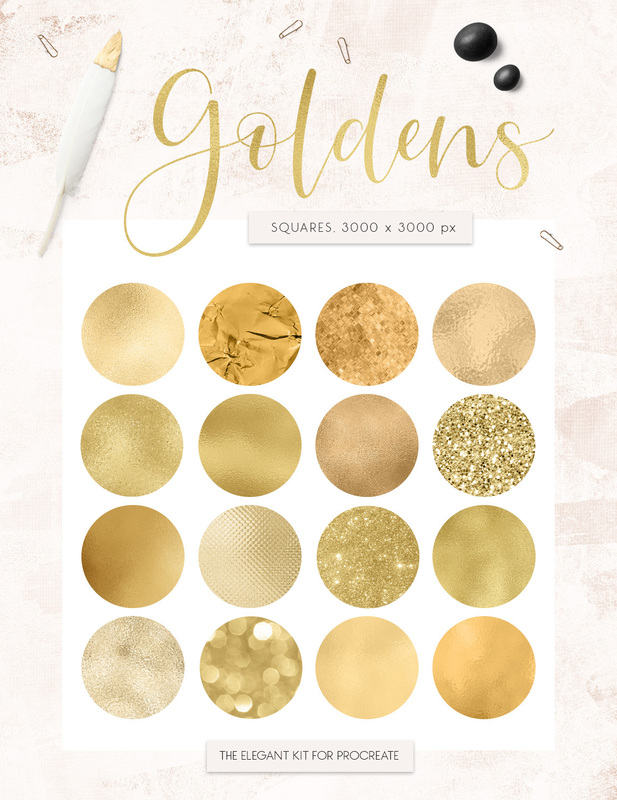 As soon as we hear back from the designer which font they used for this one, I will certainly let you know so that you can add this one to your collection too :). Thanks so much for your comments Stephanie! We’re so happy to hear that you love this pack. 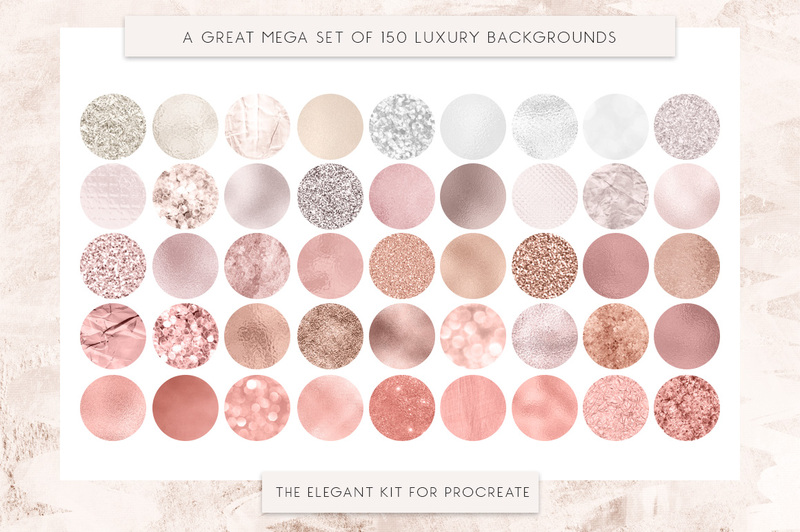 This pack is actually only for Procreate, so my sincerest apologies for any disappointment caused Stephanie! I would recommend checking out our Marketplace as we have a number of brush and texture packs that should work for you that may suit your particular projects :). do u have a video demonstrating this pen? We’re sorry for any inconvenience caused Vernice. We will be releasing some tutorials specifically for Procreate really soon, so I hope that you will find these really useful for your particular projects. If you do have any questions on working with these however, please let us know and we can certainly help you further with this!